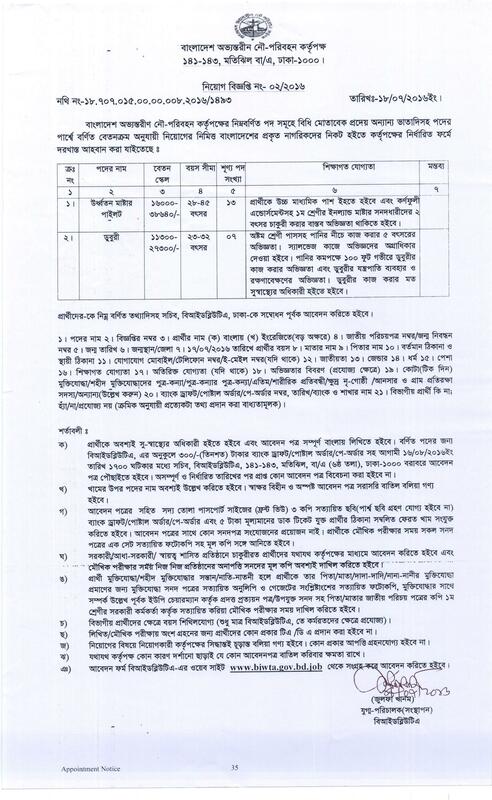 Bangladesh Inland Water Transport Authority (BIWTA) has circulated new Recruitment. 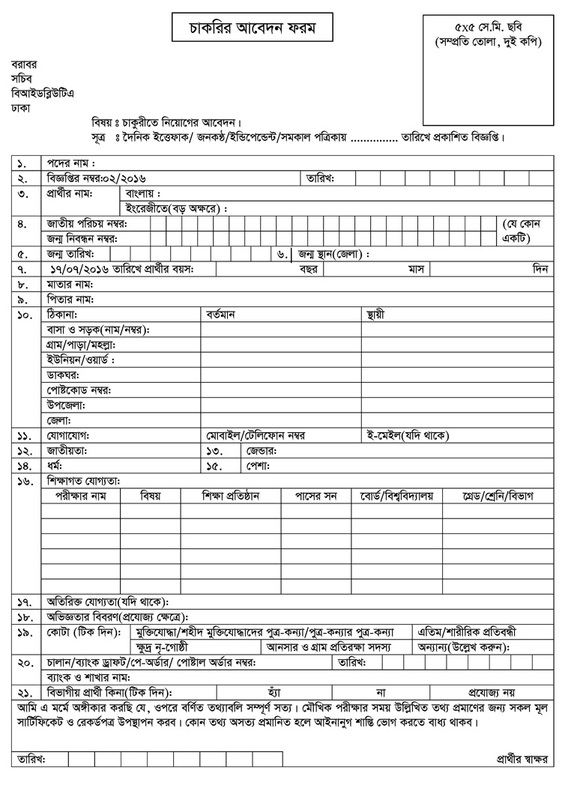 BIWTA Job Circular & Apply Process 2016 published today. Career Opportunity at BIWTA in Bangladesh. Latest Govt. Jobs Circular of BIWTA (Bangladesh Inland Water Transport Authority). BIWTA will recruit for various 20 Posts circulated a Job recruitment Advertise of Job Opportunity on 18 July 2016. All Interested and eligible Bangladeshi Citizenship candidates are requested to apply after fulfilling the circularised conditions and instructions. Deadline for Submitting Application is 16 August 2016. ■ Job Description: Bangladesh Inland Water Transport Authority (BIWTA) has been published Job Circular 2016. Let’s check details of Jobs in the Circular. ■ How to Apply: Candidates have to Apply for BIWTA Jobs through a particular Application Form provide by BIWTA website i.e. www.biwta.gov.bd after Form fill up and send the following address: To the Secretary, BIWTA, 141-143 Motijheel C/A, 5th Floor, Dhaka-1000. BIWTA, 141-143 Motijheel C/A, 5th Floor, Dhaka-1000. The application will be submitted within office time on or before 5:00 P.M on 16 August 2016 after fulfilling the advertised conditions and instructions above. Bangladesh Inland Water Transport Authority (BIWTA) is a government organization began his journey in then East Pakistan Government on 31st October 1958 promulgated an ordinance called the East Pakistan Inland water Transport Authority Ordinance 1958 (E.P. Ordinance, NO LXXV of 1958).There are 4,290 posts in the present set up of the organization approved by the Government. of these, 574 are officers and 3,716 are staff and workers. BIWTA is searching for few highly motivated, dynamic, energetic experienced and pro-active people to lead the energetic team.